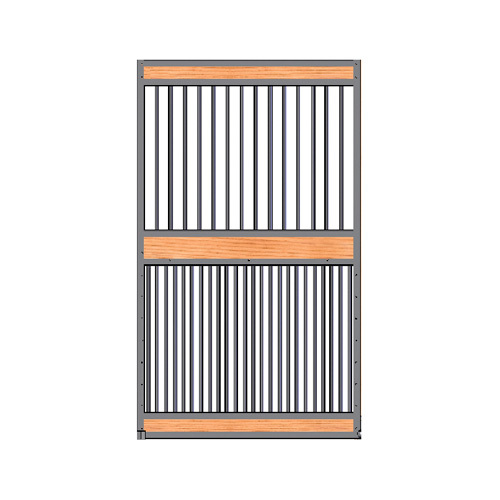 Keep an eye on everything in your horse stall with the Essex standard full grill stall door. This door allows light to flood in and air to flow through your stalls while still containing your horses safely - and rust free! - "There isn't a better way to meet in the middle of quality, clean and beautiful, all kinds of options and at a low price. 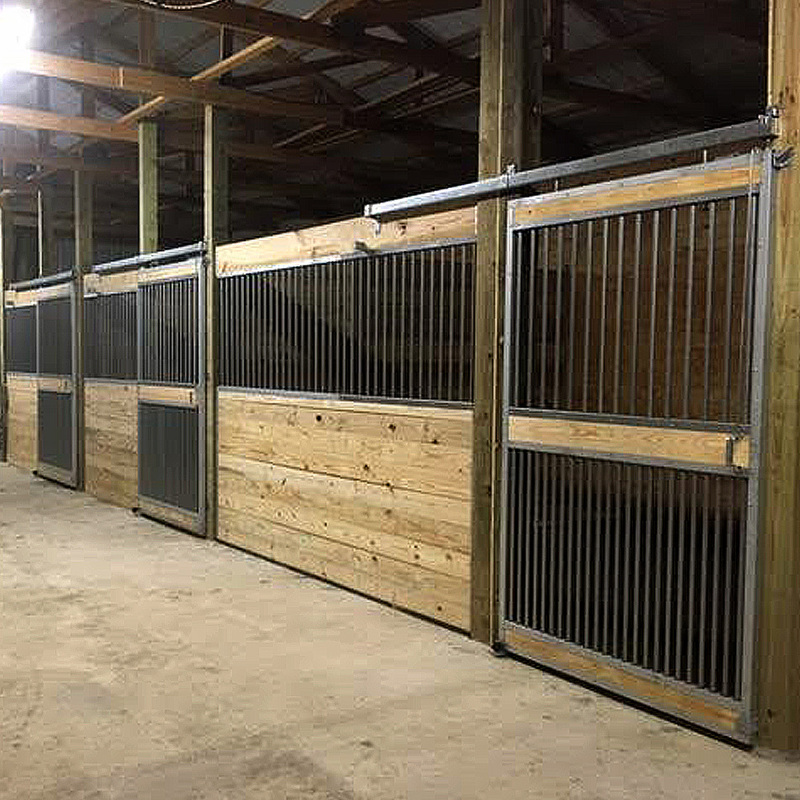 Standard stalls have worked perfectly over the years on two of our farms." Floor to Top of Header: 2x10 Header Board = 91⅝", 2x12 Header Board = 93⅝"